Ubisoft have released a new gameplay video of Assassin’s Creed IV: Black Flag, in which Game Director Ashraf Ismai,l takes a tour of the Caribbean and its many locations to explore. The video is titled “Locations and Activities”, and covers tavern fights, underwater shipwrecks, harpooning, smuggler’s caves and sharks. 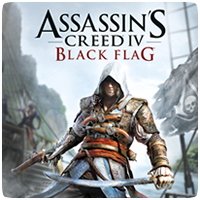 The PS3 version of Assassin’s Creed 4: Black Flag will hit the shelves on October 29th in North America and October 31st in Europe, while the PS4 version will be available when the console launches in North America and Europe, respectively.